Alexander Hamilton (January 11, 1755 or 1757 – July 12, 1804) was the first Secretary of the Treasury, a Founding Father, economist, and political philosopher. He led calls for the Philadelphia Convention, was one of America's first Constitutional lawyers, and cowrote the Federalist Papers, a primary source for Constitutional interpretation.Alexander Hamilton (January 11, 1755 or 1757 – July 12, 1804) was the first Secretary of the Treasury, a Founding Father, economist, and political philosopher. He led calls for the Philadelphia Convention, was one of America's first Constitutional lawyers, and cowrote the Federalist Papers, a primary source for Constitutional interpretation. ALEXANDER HAMILTON was born a British subject on the island of Nevis in the West Indies on January 11, 1755. His father was James Hamilton, a Scottish merchant of St. Christopher. Hamilton's mother was Rachael Fawcette Levine, of French Huguenot descent. When Rachael was very young, she had married a Danish proprietor of St. Croix named John Michael Levine. Ms. Levine left her husband and was later divorced from him on June 25, 1759. Under the Danish law which had granted her divorce, she was forbidden from remarrying. Thus, Hamilton's birth was illegitimate. Business failures resulted the bankruptcy of his father and with the death of his mother, Alexander entered the counting house of Nicholas Cruger and David Beekman, serving as a clerk and apprentice at the age of twelve. By the age of fifteen, Alexander was left in charge of the business. Opportunities for regular schooling were very limited. With the aid of funds advanced by friends, Hamilton studied at a grammar school in Elizabethtown, New Jersey. In 1774, he graduated and entered King's College (now Columbia University) in New York City and obtained a bachelor's of arts degree in just one year. The War of Independence had began and at a mass meeting held in the fields in New York City on July 6, 1774, Hamilton made a sensational speech attacking British policies. Hamilton's military aspirations flowered with a series of early accomplishments. On March 14, 1776, he was commissioned captain of a company of artillery set up by the New York Providential Congress. Hamilton's company participated at the Battle of Long Island in August of 1776. At White Plains, in October of 1776, his battery guarded Chatterton's Hill and protected the withdrawal of William Smallwood's militia. On January 3, 1777, Hamilton's military reputation won the interest of General Nathaniel Greene. General Greene introduced the young Captain to General Washington with a recommendation for advancement. Washington made Hamilton his aide-de-camp and personal secretary with the rank of Lieutenant Colonel. He served four years as Washington's personal secretary and confidential aide. Longing for active military service, he resigned from Washington's staff after a dispute with the general, but remained in the army. At the Battle of Monmouth (June 28, 1778), Hamilton again proved his bravery and leadership and he also won laurels at Yorktown (Sept. – Oct. 1781), where he led the American column in a final assault in the British works. Hamilton married Elizabeth, the daughter of General Philip Schuyler on December 14, 1780. The Schuylers were one of the most distinguished families in New York. This connection placed Hamilton in the center of New York society. In 1782, he was admitted to legal practice in New York and became an assistant to Robert Morris who was then superintendent of finance. Hamilton was one of three authors of The Federalist. This work remains a classic commentary on American constitutional law and the principals of government. Its inception and approximately three-quarters of the work are attributable to Hamilton (the rest belonging to John Jay and James Madison). Hamilton also won the New York ratification convention vote for the Constitution against great odds in July 17-July 26, 1788. During Washington's presidency, Hamilton became the first secretary of the Treasury. Holding this office from September 11, 1789 to January 31, 1795, he proved himself a brilliant administrator in organizing the Treasury. In 1790 Hamilton submitted to Congress a report on the public credit that provided for the funding of national and foreign debts of the United States, as well as for federal assumption of the states' revolutionary debts. After some controversy, the proposals were adopted, as were his subsequent reports calling for the establishment of a national bank. He is chiefly responsible for establishing the credit of the United States, both at home and abroad. In foreign affairs his role was almost as influential. He persuaded Washington to adopt a policy of neutrality after the outbreak of war in Europe in 1793, and in 1794 he wrote the instructions for the diplomatic mission to London that resulted in the Anglo-American agreement known as Jay's Treaty. Hamilton also became the esteemed leader of one of the two great political parties of the time. After the death of George Washington, the leadership of the Federalist Party became divided between John Adams and Hamilton. John Adams had the prestige from his varied and great career and from his great strength with the people. Conversely, Hamilton controlled practically all of the leaders of lesser rank and the greater part of the most distinguished men in the country. Hamilton, by himself, was not a leader for the population. After Adams became President, Hamilton constantly advised the members of the cabinet and endeavored to control Adams's policy. On the eve of the presidential election of 1800, Hamilton wrote a bitter personal attack on the president that contained confidential cabinet information. Although this pamphlet was intended for private circulation, the document was secured and published by Aaron Burr, Hamilton's political and legal rival. Based on his opinion of Burr, Hamilton deemed it his patriotic duty to thwart Burr's ambitions. Burr forced a quarrel and subsequently challenged Hamilton to a duel. The duel was fought at Weehawken on the New Jersey shore of the Hudson River opposite New York City. At forty-nine, Hamilton was shot, fell mortally wounded, and died the following day, July 12, 1804. It is unanimously reported that Hamilton himself did not intend to fire, his pistol going off involuntarily as he fell. Hamilton was apparently opposed to dueling following the fatal shooting of his son Philip in a duel in 1801. Further, Hamilton told the minister who attended him as he laid dying, "I have no ill-will against Col. Burr. I met him with a fixed resolution to do him no harm. I forgive all that happened." His death was very generally deplored as a national calamity. Apart from his contributions to The Federalist and his reorganization of the United States financial system in the 1790's Hamilton is best remembered for his consistent emphasis on the need for a strong central government. His advocacy of the doctrine of "implied powers" to advance a broad interpretation of the Constitution has been invoked frequently to justify the extension of federal authority and has greatly influence a number of Supreme Court decisions. 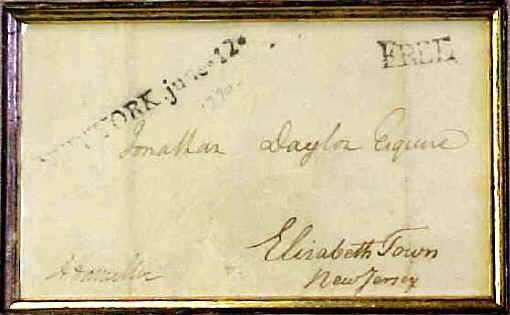 Free franked envelope signed "Alexander Hamilton." HAMILTON, Alexander, statesman, born in the island of Nevis, West Indies, 11 January, 1757; died in New York city, 12 July, 1804. A curious mystery and uncertainty overhang his birth and parentage, and even the accounts of his son and biographer vary with and contradict each other. The accepted version is, that he was the son of James Hamilton, a Scottish merchant, and his wife, a French lady named Faucette, the divorced wife of a Dane named Lavine. According to another story, his mother was a Miss Lytton, and her sister came subsequently to this country, where she was watched over and supported by Hamilton and his wife. A similar doubt is also connected with his paternity, which now cannot be solved, even were it desirable. His father became bankrupt "at an early day," to use Hamilton's own words, and the child was thus thrown upon the care of his mother's relatives. His education seems to have been brief and desultory, and chiefly due to the Reverend Hugh Knox, a Presbyterian clergyman of Nevis, who took a great interest in the boy and kept up an affectionate correspondence with him in after-days when his former pupil was on the way to greatness. In 1777 his old tutor wrote to Hamilton that he must be the annalist and biographer, as well as the aide-de-camp, of General Washington, and the historiographer of the American war of independence. Before Hamilton was thirteen years of age it was apparently necessary that he should earn his living, and he was therefore placed in the office of Nicholas Cruger, a West Indian merchant. His precocity was extraordinary, owing, perhaps in some measure, to his early isolation and self-dependence, and at an age when most boys are thinking of marbles and hockey he was writing to a friend and playmate of his ambition and his plans for the future. Most boys have day-dreams; but there is a definiteness and precision about Hamilton's that make them seem more like the reveries of twenty than of thirteen. Even more remarkable was the business capacity that he displayed at this time. His business letters, many of which have been preserved, would have done credit to a trained clerk of any age, and his employer was apparently in the habit of going away and leaving this mere child in charge of all the affairs of his counting house. The boy also wrote for the local press, contributing at one time an account of a severe hurricane that had devastated the islands, which was so vivid and strong a bit of writing that it attracted general attention. This literary success, joined probably to the friendly advocacy of Dr. Knox, led to the conviction that something ought to be done for a boy who was clearly fitted for a higher position than a West Indian counting house. Funds were accordingly provided by undefined relatives and more distinct friends, and thus equipped, Hamilton sailed for Boston, Massachusetts, where he arrived in October, 1772, and whence he proceeded to New York. Furnished by Dr. Knox with good letters, he speedily found friends and counselors, and by their advice went to a school in Elizabethtown, New Jersey, where he studied with energy to prepare for college, and employed his pen in much writing, of both prose and poetry. He entered King's college, New York now Columbia, and there with the aid of a tutor made remarkable progress. While he was thus engaged, our difficulties with England were rapidly ripening. Hamilton's natural inclinations were then, as always, toward the side of order and established government, but a visit to Boston in the spring of 1774, and a close examination of the questions in dispute, convinced him of the justice of the cause of the colonies. His opportunity soon came. A great meeting was held in the fields, 6 July, 1774, to force the lagging Tory assembly of New York into line. Hamilton was among the crowd, and as he listened he became more and more impressed, not by what was said, but by what the speakers omitted to say. Pushing his way to the front, he mounted the platform, and while the crowd cried "A collegian! A collegian!" this stripling of seventeen began to pour out an eloquent and fervid speech in behalf of colonial rights. Once engaged, Hamilton threw himself into the struggle with all the intense energy of his nature. He left the platform to take up the pen, and his two pamphlets--"A Full Vindication" and "The Farmer Refuted" --attracted immediate and general attention. Indeed, these productions were so remarkable, at a time when controversial writings of great ability abounded, that they were generally attributed to Jay and other well-known patriots. The discovery of their authorship raised Hamilton to the position of a leader in New York. Events now moved rapidly, the war for which he had sighed in his first boyish letter came, and he of course was quick to take part in it. Early in 1776 he was given the command of a company of artillery by the New York convention, and by his skill in organization, and his talent for command, he soon had a body of men that furnished a model of appearance and discipline at a time when those qualities were as uncommon as they were needful. At Long Island and at White Plains the company distinguished itself, and the gallantry of the commander, as well as the appearance of the men, which had already attracted the notice of General Greene, led to an offer from Washington of a place on his staff. This offer Hamilton accepted, and thus began the long and intimate connection with Washington which suffered but one momentary interruption. Hamilton filled an important place on Washington's staff, and his ready pen made him almost indispensable to the commander-in-chief. Beside his immediate duties, the most important task that fell to him was when he was sent to obtain troops front General Gates, after the Burgoyne campaign. This was a difficult and delicate business; but Hamilton conducted it with success, and, by a wise admixture of firmness and tact, carried his point. He also took such part as was possible for a staff officer in all the battles fought by Washington, and in the Andre affair he was brought into close contact both with Andre and Mrs. Arnold, of whom he has left a most pathetic and picturesque description. On 16 February, 1781, Hamilton took hasty offence at a reproof given him by Washington, and resigned from the staff, but he remained in the army, and at Yorktown commanded a storming party, which took one of the British redoubts. This dashing exploit practically closed Hamilton's military service in the Revolution, which had been highly creditable to him both as a staff and field officer. In the midst of his duties as a soldier, however, Hamilton had found time for much else. On his mission to Gates he met at Albany Miss Elizabeth Schuyler, whom he married on 14 December, 1780, and so became connected with a rich and powerful New York family, which was of marked advantage to him in many ways. During the Revolution, too, he had found leisure to study finance and government, and his letters on these topics to Robert Morris and James Duane display a remarkable grasp of both subjects. He showed in these letters how to amend the confederation and how to establish a national bank, and his plans thus set forth were not only practicable, but evince his peculiar fitness for the great work before him. His letters on the bank, indeed, so impressed Norris that when Hamilton left the army and was studying law, Morris offered him the place of continental receiver of taxes for New York, which he at once accepted. At the same time he was admitted to the bar, and he threw himself into the work of his profession and of his office with his wonted zeal. The exclusion of the Tories from the practice of the law gave a fine opening to their young rivals on the patriot side; but the business of collecting taxes was a thankless task, which only served to bring home to Hamilton more than ever the fatal defects of the confederation. From these uncongenial labors he was relieved by an election to congress, where he took his seat in November, 1782. The most important business then before congress was the ratification of peace; but the radical difficulties of the situation arose from the shattered finances and from the helplessness and imbecility of the confederation. Hamilton flung himself into these troubles with the enthusiasm of youth and genius, but all in vain. The case was hopeless. He extended his reputation for statesmanlike ability and brilliant eloquence, but effected nothing, and withdrew to the practice of his profession in 1783, more than ever convinced that the worthless fabric of the confederation must be swept away, and something better and stronger put in its place. This great object was never absent from his mind, and as he rapidly rose at the bar he watched with a keen eye the course of public affairs, and awaited an opening. Matters went rapidly from bad to worse. The states were bankrupt, and disintegration threatened them. Internecine commercial regulations destroyed prosperity, and riot and insurrection menaced society. At last Virginia, in January, 1786, proposed a convention at Annapolis, Maryland, to endeavor to make some common commercial regulations. Hamilton's opportunity had come, and, slender as it was, he seized it with a firm grasp. He secured the election of delegates from New York, and in company with Egbert Benson betook himself to Annapolis in September, 1786. After the fashion of the time, only five states responded to the call; but the meager gathering at least furnished a stepping-stone to better things. The convention agreed upon an address, which was drawn by Hamilton, and toned down to suit the susceptibilities of Edmund Randolph. This address set forth the evil condition of public affairs, and called a new convention, with enlarged powers, to meet in Philadelphia, 2 May, 1787. This done, the next business was to make the coming convention a success, and Hamilton returned to New York to devote himself to that object. He obtained an election to the legislature, and there fought the hopeless battles of the general government against the Clintonian forces, and made himself felt in all the legislation of the year; but he never lost sight of his main purpose, the appointment of delegates to Philadelphia. This he finally accomplished, and was chosen with two leaders of the opposition, Yates and Lansing, to represent New York in the coming convention. Hamilton's own position despite his victory in obtaining delegates was trying; for in the convention the vote of the state, on every question, was east against him by his colleagues. He, however, did the best that was possible. At an early day, when a relaxing and feeble tendency appeared in the convention, he introduced his own scheme of government, and supported it in a speech of five hours, His plan was much higher in tone, and much stronger, than any other, since it called for a president and senators for life, and for the appointment of the governors of states by the national executive. It aimed, in fact, at the formation of an aristocratic instead of a Democratic republic. Such a scheme had no chance of adoption, and of course Hamilton was well aware of this, but it served its purpose by clearing the atmosphere and giving the convention a more vigorous tone. 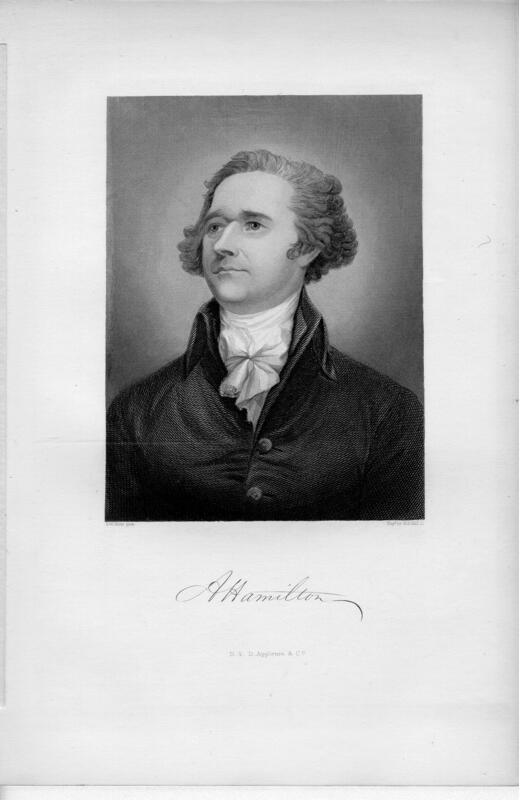 After delivering his speech, Hamilton withdrew from the convention, where his colleagues rendered him hopelessly inactive, and only returned toward the end to take part in the closing debates, and to affix his name to the constitution. It was when the labors of the convention were completed and laid before the people that Hamilton's great work for the constitution really began. He conceived and started "The Federalist," and wrote most of those famous essays which riveted the attention of the country, furnished the weapons of argument and exposition to those who "thought continentally" in all the states, and did more than any thing else toward the adoption of the constitution. In almost all the states the popular majority was adverse to the constitution, and in the New York ratifying convention the vote stood at the outset two to one against adoption. In a brilliant contest, Hamilton, by arguments rarely equaled in the history of debate, either in form or eloquence, by skilful management, and by wise delay, finally succeeded in converting enough votes, and carried ratification triumphantly. It was a great victory, and in the Federal procession in New York the Federal ship bore the name of "Hamilton." From the convention the struggle was transferred to the polls. George Clinton was strong enough to prevent the choice of senators, but at the election he only retained his own office by a narrow majority; his power was broken, and the Federalists elected four of the six representatives in congress. In this fight Hamilton led, and when the choice of senators was finally made he insisted, in his imperious fashion, on the choice of Rufus King and General Schuyler, thus ignoring the Livingstons, a political blunder that soon cost the Federalists control of the state of New York. In April, 1789, Washington was inaugurated, and when the treasury department was at, last organized, in September, he at once placed Hamilton at the head of it. In the five years that ensued Hamilton did the work that lies at the foundation of our system of administration, gave life and meaning to the constitution, and by his policy developed two great political parties. To give in any detail an account of what he did would be little less than to write the history of the republic during those eventful years. On 14 January, 1790, he sent to congress the first "Report on the Public Credit," which is one of the great state papers of our history, and which marks the beginning and foundation of our government. In that wonderful document, and with a master's hand, he reduced our confused finances to order, provided for a funding system and for taxes to meet it, and displayed a plan for the assumption of the state debts. The financial policy thus set forth was put into execution, and by it our credit was redeemed, our union cemented, and our business and commercial prosperity restored. Yet outside of this great work and within one year Hamilton was asked to report, and did report fully, on the raising and collection of the revenue, and on a scheme for revenue cutters; as to estimates of income and expenditure; as to the temporary regulation of the currency; as to navigation-laws and the coasting trade; as to the post office; as to the purchase of West Point; as to the management of the public lands, and upon a great mass of claims, public and private. Rapidly, effectively, and successfully were all these varied matters dealt with and settled, and then in the succeeding years came from the treasury a report on the establishment of a mint, with an able discussion of Coins and coinage; a report on a national bank, followed by a great legal argument in the cabinet, which evoked the implied powers of the constitution; a report on manufactures, which discussed with profound ability the problems of political economy and formed the basis of the protective policy of the United States; a plan for an excise; numerous schemes for improved taxation; and finally a last great report on the public credit, setting forth the best methods for managing the revenue and for the speedy extinction of the debt. In the midst of these labors Hamilton was assailed in congress by his enemies, who were stimulated by Jefferson, led by James Madison and William B. Giles, and in an incredibly short time, in a series of reports on loans, he laid bare every operation of the treasury for three years, and thereafter could not get his foes, even by renewed invitations, to investigate him further. Outside of his own department, Hamilton was hardly less active, and in the difficult and troubled times brought on by the French revolution he took a leading part in the determination of our foreign policy, he believed in a strict neutrality, and had no lemming to France. He sustained the neutrality proclamation in the cabinet, and defended it in the press under the signature of "Pacificus." He strenuously supported Washington in his course toward France, and constantly urged more vigorous measures toward Edmond Charles Genet (q. v.) than the cabinet as a whole would adopt. During this period, too, his quarrel with Jefferson, which really typified the growth of two great political parties, came to a head. Jefferson sustained and abetted Freneau in his attacks upon the administration and the financial policy, and upon the secretary of the treasury most especially. Hamilton, too, forgetful of the dignity of his office, took up his pen and in a series of letters to the newspapers lashed Jefferson until he writhed beneath the blows. At last Washington interfered, and a peace was patched up between the warring secretaries; but the relation was too strained to endure, and Jefferson soon resigned and retired to Virginia. Hamilton was contemplating a similar step, but postponed taking it because he wished to complete certain financial arrangements, and he also felt unwilling to leave his office until the troubles arising in Pennsylvania from the excise were settled. These disturbances culminated in open riot and insurrection; but Washington and Hamilton were fully prepared to deal with the emergency. 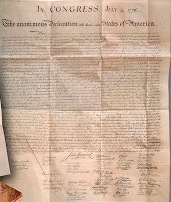 A vigorous proclamation was issued, an overwhelming force, which Hamilton accompanied, was marched into the insurgent counties, and the so-called rebellion faded away. Hamilton now felt free to withdraw from the cabinet, a step that he was compelled to take from a lack of resources sufficient to support a growing family, and he accordingly resigned on 31 January, 1795. His neglected practice at once revived, and he soon stood at the head of the New York bar. But even his incessant professional duties could not keep him from public affairs. The Jay negotiation, which he had done much to set on foot, came to an end, mid the treaty that resulted from it produced a fierce outburst of popular rage, which threatened to overwhelm Washington himself. Hamilton defended the treaty with voice and pen, writing a famous series of essays signed "Camillus," which had a powerful influence in changing public opinion. He was also consulted constantly by Washington, almost as much as if he had continued in the cabinet, and he furnished drafts and suggestions for messages and speeches, besides taking a large share in the preparation of the "Farewell Address." Hamilton not only corresponded with and advised the president, but maintained the same relation with the members of the cabinet, and this fact was one fruitful source of the dissensions that arose in the Federalist party after the retirement of Washington. Hamilton supported John Adams loyally, if not very cordially, at the election of 1796, and intended to give him an equally loyal support when he assumed office, but the situation was an impossible one. Adams was the leader of the party de jure, Hamilton de facto, and at least three members of the cabinet looked from the first beyond their nominal and official chief to their real chief in New York. If Adams had possessed political tact, he might have managed Hamilton; but he neither could nor would attempt it, and Hamilton, on his side, was equally imperious and equally determined to have his own way. The two leaders agreed as to the special commission to France, and the commission went. They agreed as to the attitude to be assumed after the exposure of the "X. Y. Z." correspondence, and all went well. But, when it came to the provisional army, Adams's jealousy led him to resist Hamilton's appointment to the command, and a serious breach ensued. The influence of Washington prevailed, however, and Hamilton was given the post of inspector-general. For two years he was absorbed in the military duties thus imposed upon him, and his genius for organization comes out strongly in his correspondence relating to the formation, distribution, and discipline of the army. In the mean time the affairs of the party went from bad to worse. Mr. Adams reopened negotiations with France, which disgusted the war Federalists, and then expelled Timothy Pickering and James McHenry from the cabinet, 12 May, 1800. He also gave loud utterance to his hatred of Hamilton, which speedily reached the latter's ears, and the Federalist party found themselves face to face with an election and torn by bitter quarrels. The Federalists were beaten by their opponents under the leadership of Burr in the New York elections, mid Hamilton, smarting from defeat, proposed to Jay to call together the old legislature and refer the choice of electors to the people in districts. The proposition was wrong and desperate, and wholly unworthy of Hamilton, who seems to have been beside himself at the prospect of his party's impending ruin and the consequent triumph of Jefferson. He also made the fatal mistake of openly attacking Adams, and the famous pamphlet that he wrote against the president, after depicting Adams as wholly unfit for his high trust, lamely concluded by advising all the Federalists to vote for him. Such proceedings could have but one result, and the Federalists were beaten. The victors, however, were left in serious difficulties, for Burr and Jefferson received an equal number of votes, and the election was thrown into the house of representatives. The Federalists, eager for revenge on Jefferson, began to turn to Burr, and now Hamilton, recovered from his lit, of anger, threw himself into the breach, and, using all his great influence, was chiefly instrumental in securing the election of Jefferson, thereby fulfilling the popular will and excluding Burr, a great and high-minded service, which was a fit close to his public life. After the election of Jefferson, Hamilton resumed the practice of his profession, and withdrew more and more into private life. But he could not separate himself entirely from politics, and continued to write upon them, and strove to influence and strengthen his party. As time wore on, and the breach widened between Jefferson and Burr, the latter renewed his intrigues with the Federalists, but through Hamilton's influence was constantly thwarted, and was finally beaten for the governorship of New York. Burr then apparently determined to fix a quarrel upon his life-long enemy, which was no difficult matter, for Hamilton had used the severest language about Burr--not once, but a hundred times--and it was easy enough to bring it home to him. Hamilton had no wish to go out with Burr but he was a fighting man, and, moreover, he was haunted by the belief that democracy was going to culminate in the horrors of the French revolution, that a strong man would be needed, and that society would turn to him for salvation -- a work for which he would be disqualified by the popular prejudice if he declined to fight a duel. He therefore accepted the challenge, met Burr on 11 July, 1804, on the bank of the Hudson at Weehawken, and fell mortally wounded at the first fire. His tragic fate called forth a universal burst of grief, and drove Burr into exile, an outcast and a conspirator. The accompanying illustration represents the tomb that marks his grave in Trinity churchyard, New York. The preceding one, on page 57, is a picture of "The Grange," Hamilton's country residence on the upper part of Manhattan island. The thirteen trees that he planted to symbolize the original states of the Union survive in majestic proportions, and the mansion is still standing on the bluff overlooking the Hudson on one side and Long Island sound on the other, not far from 145th Street. As time has gone on Hamilton's fame has grown, and he stands today as the most brilliant statesman we have produced. His constructive mind and far-reaching intellect are visible in every part of our system of government, which is the best and noblest monument of his genius. His writings abound in ideas which there and then found their first expression, and which he impressed upon our institutions until they have become so universally accepted and so very commonplace that their origin is forgotten. He was a brave and good soldier, and might well have been a great one had the opportunity ever come. He was the first, political writer of his time, with an unrivalled power of statement and a dear, forcible style, which carried conviction in every line. At the time of his death he was second to no man at the American bar, and was a master in debate and in oratory. In his family and among his friends he was deeply beloved and almost blindly followed. His errors and faults came from his strong, passionate nature, and his masterful will impatient of resistance or control. Yet these were the very qualities that carried him forward to his triumphs, and enabled him to perform services to the American people which can never be forgotten. There are several portraits of the statesman by John Trumbull, and one by Wiemar; also a marble bust, modelled from life, by Ceraechi in 1794, of which the accompanying illustration, on page 56, is a copy. A full-length statue of Hamilton stands in the Central Park of New York. 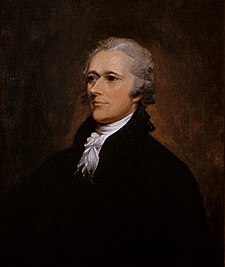 Hamilton was the principal author of the series of essays called the "Federalist," written in advocacy of a powerful and influential national government, which were published in a New York journal under the signature of "Publius" in 1787-'8, before the adoption of the Federal constitution. There were eighty-five papers in all, of which Hamilton wrote fifty-one, James Madison fourteen, John Jay five, and Madison and Hamilton jointly three, while the authorship of the remaining twelve have been claimed by both Hamilton and Madison. As secretary of the treasury, he presented to congress an elaborate report on the public debt in 1789, and one on protective duties on imports in 1791. In the "Gazette of the United States," under the signature "An American," he assailed Jefferson's financial views, while both were members of Washington's cabinet (1792); under that of "Pacificus," defended in print the policy of neutrality between France and England (1793); and in a series of essays, signed "Camillus," sustained the policy of ratifying Jay's treaty (1795). Other signatures used by him in his newspaper controversies were "Cato," "Lucius Crassus," "Phocion," and "Scipio." In answer to the charges of corruption made by Monroe, he published a pamphlet, containing his correspondence with Monroe on the subject and the supposed incriminating letters on which the charges were based (1797). 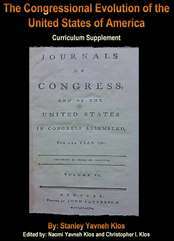 His "Observations on Certain Documents" (Philadelphia, 1797) was republished in New York in 1865. In 1798 he defended in the newspapers the policy of increasing the army. His "Works," comprising the "Federalist," his most important official reports, and other writings, were published in three volumes (New York, 1810). His "Official and other Papers," edited by Francis L. Hawks, appeared in 1842. in 1851 his son, John C., issued a carefully prepared edition of his "Works," comprising his correspondence and his political and official writings, civil and military, in seven volumes. A still larger collection of his "Complete Works," including the "Federalist," his private correspondence, and many hitherto unpublished documents, was edited, with an introduction and notes, by Henry Cabot Lodge (9 vols., 1885). In 1804 appeared a "Collection of Facts and Documents relative to the Death of Major-General Alexander Hamilton," by William Coleman. The same year his "Life" was published in Boston by John Williams, under the pen-name "Anthony Pasquin," a reprint of which has been issued by the Hamilton club (New York, 1865). A "Life of Alexander Hamilton" (2 vols., 1834-'40) was published by his son, John Church, who also compiled an elaborate work entitled "History of the Republic of the United States, as traced in the Writings of Alexander Hamilton and his Contemporaries," the first volume of which contains a sketch of his father's career (1850-'8). See also his "Life" by Henry B. Renwick (1841); "Life and Times of Alexander Hamilton," by Samuel M. Smucker (Boston, 1856); "Hamilton and his Contemporaries," by Christopher J. Riethmueller (1864); "Life of Hamilton," by John T. Morse, Jr. (1876);" Hamilton, a Historical Study," by George Shea (New York, 1877); "Life and Epoch of Alexander Hamilton," by the same author (Boston, 1879)" and "Life of Hamilton," by Henry Cabot Lodge (American statesmen series, 1882). A list of the books written by or relating to Hamilton has been published under the title of "Bibliotheca Hamiltonia" by Paul L. Ford (New York, 1886). --His wife, Elizabeth, daughter of General Philip Schuyler, born in Albany, New York, 9 August, 1757; died in Washington, D. C., 9 November, 1854. At the time of their marriage Hamilton was one of General Washington's aides, with the rank of lieutenant colonel. She rendered assistance to her husband in his labors, counselled him in his affairs, and kept his papers in order for him, preserving the large collection of manuscripts, which was acquired by the United States government in 1849, and has been utilized by the biographers of Alexander Hamilton and by historians, who have traced by their light the secret and personal influences that decided many public events between 1775 and 1804. The accompanying portrait of Mrs. Hamilton, painted by James Earle, represents her at the age of twenty-seven. --Their son, Philip Hamilton, born 22 January, 1782, was graduated at Columbia in 1800, and died of a wound received in a duel 24 November, 1801, on the same spot where his father fell three years later. The young man, who showed much promise, became involved in a political quartel, and was challenged by his antagonist, whose name was Eckert. After the affair the father regarded with abhorrence the practice of duelling. He recorded his condemnation in a paper, written before going to the fatal meeting with Burr. --Another son, Alexander Hamilton, soldier, born in New York city, 16 May, 1786; died there, 2 August, 1875, was graduated at Columbia in 1804, studied law, and was admitted to practice. He went abroad, and was with the Duke of Wellington's army in Portugal in 1811, but returned on hearing rumors of impending war with Great Britain. He was appointed captain of United States infantry in August, 1813, and acted as aide-de-camp to General Morgan Lewis in 1814. In 1822 he was appointed United States district attorney in Florida, and in 1823 one of the three Florida land-commissioners. His last years were passed in New Brunswick, New Jersey, and in New York city, where he engaged in real estate speculations. Another son, John Church Hamilton, lawyer, born in Philadelphia, Pennsylvania, 22 August, 1792; died in Long Branch, New Jersey, 25 July, 1882, was graduated at Columbia in 1809. He studied law, and practised in New York city. He was commissioned a lieutenant in the United States army in March, 1814, and served as aide-de-camp to General Harrison, bug resigned on 11 June, 1814. He spent many years in preparing memoirs of his father, and editing the latter's works (see above). --Another son, William Steven Hamilton, born in New York city, 4 August, 1797; died in Sacramento, California, 7 August, 1850, entered the United States military academy in 1814, but left before his graduation. He was appointed United States surveyor of public lands in Illinois, and served as a colonel of Illinois volunteers in the Black Hawk war, commanding a reconnoitering party under General Atkinson in 1832. He held various offices, removed to Wisconsin, and thence to California. --The youngest son, Philip Hamilton, jurist, born in New York city, 1 June, 1802; died in Poughkeepsie, New York, 9 July, 1884, married a daughter of Louis McLane. He was assistant district attorney in New York city, and for some time judge-advocate of the naval retiring board in Brooklyn. -Schuyler Hamilton, soldier, son of John Church Hamilton, born in New York city, 25 July, 1822, was graduated at the United States military academy in 1841, entered the 1st infantry, and was on duty on the plains and as assistant instructor of tactics at West Point. He served with honor in the Mexican war, being brevetted for gallantry at Monterey, and again for his brave conduct in an affair at Nil Flores, where he was attacked by a superior force of Mexican lancers, and was severely wounded in a desperate hand-to-hand combat. From 1847 till 1854 he served as aide-de-camp to General Winfield Scott. At the beginning of the civil war he volunteered as a private in the 7th New York regiment, and was attached to the staff of General Benjamin F. Butler, and then acted as military secretary to General Scott until the retirement of the latter. He next served as assistant chief of staff to General Henry W. Halleck, at St. Louis, Missouri, with the rank of colonel, he was commissioned brigadier-general of volunteer's on 12 November, 1861, and ordered to command the department of St. Louis. He participated in the important operations of the armies of the Tennessee and of the Cumberland, was the first to suggest the cutting of a canal to turn the enemy's position at Island No. 10, and commanded a division in the operations against that island and New Madrid, for which he was made a major-general on 17 September, 1862. At the battle of Farmington he commanded the reserve. On 27 February, 1863, he was compelled by feeble health to resign. From 1871 till 1875 he filled the post of hydrographic engineer for the department of docks in New York city. He is the author of a "History of the National Flag of the United States" (New York, 1852), and on 14 June, 1877, the centennial anniversary of its adoption, delivered an address on "Our National Flag." --Allan McLane Hamilton, physician, son of Philip, born in Brooklyn, New York, 6 October, 1848, was graduated at the College of physicians and surgeons in New York city in 1870, and practiced in that city, devoting his attention to nervous diseases. He invented a dynamometer in 1874, and was one of the first to practice galvano-cautery in the United States, and the first to employ monobromate of camphor in treating delirium tremens and nitro-glycerine in epilepsy. He had charge in 1872-'3 of the New York state hospital for diseases of the nervous system, afterward became visiting physician to the epileptic and paralytic hospital. On Blackwell's island, New York city, and lectured on nervous diseases in the Long Island college hospital. In the trial of President Garfield's assassin he testified as an expert in behalf of the government. He edited in 1875 the "American Psychological Journal," is the author of a work on" Clinical Electro-Therapeutics" (New York, 1873), and also of textbooks on "Nervous Diseases" (1878-'81), and "Medical Jurisprudence" (1887), and has published in professional journals articles on epilepsy, sensory epilepsy, ascending general paresis, tremors, and incoordination. Alexander Hamilton (January 11, 1755 or 1757 – July 12, 1804) was the first Secretary of the Treasury, a Founding Father, economist, and political philosopher. He led calls for the Philadelphia Convention, was one of America's first Constitutional lawyers, and cowrote the Federalist Papers, a primary source for Constitutional interpretation. Start your search on Alexander Hamilton.